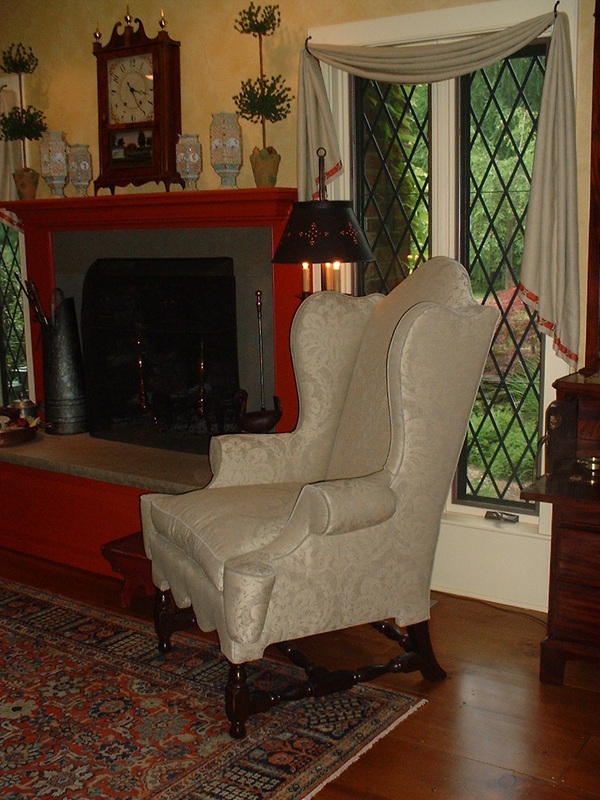 Stephen H. Smith makes many fine reproduction chairs. There are many reasons for the demand. It is quite difficult to find complete sets of period chairs; and they are often small in scale for modern use. 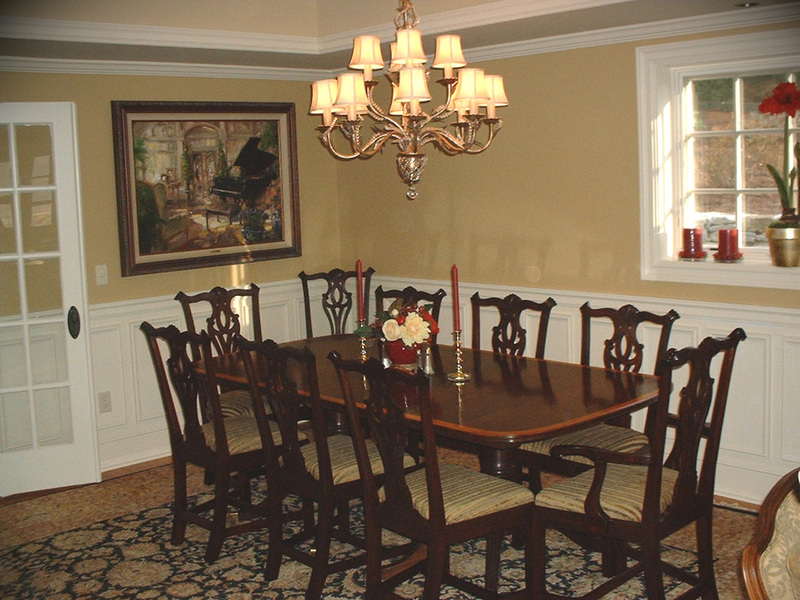 Antique chairs are often weakened over time as the wood that they were made from has dried out. be made from photographs, while less exact, these copies will still retain the “feel” of the original. 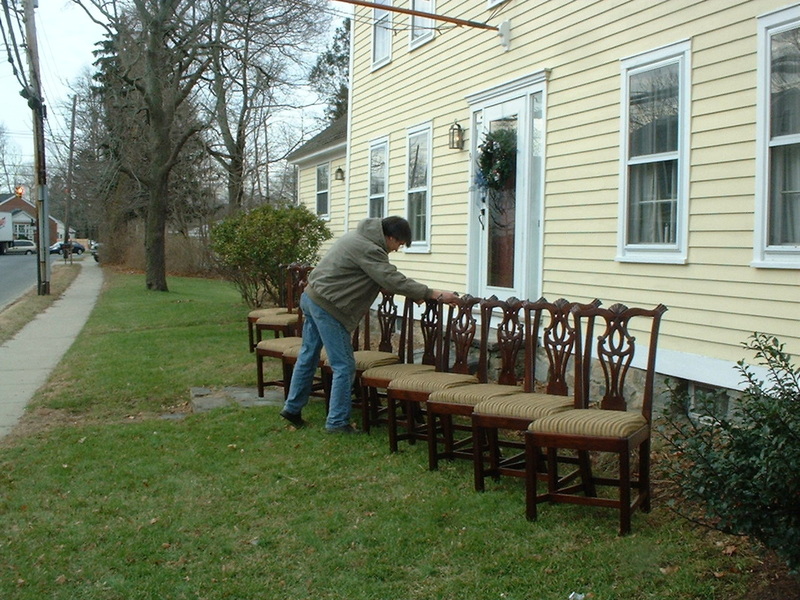 A set of twelve walnut Chippendale chairs, and a banquet table, (not all 12 showing). I call this shot "ducks in a row." 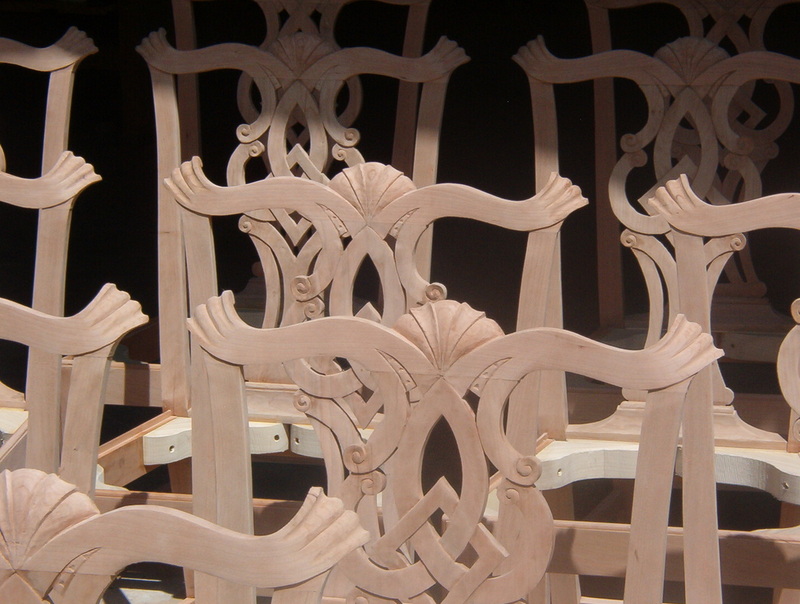 These are 10 of a set of 12 Chippendale chairs made of walnut. There were also 2 armchairs that I had not brought out when it was taken. This is a William and Mary style wing chair, the style dates from pre-revolutionary days! 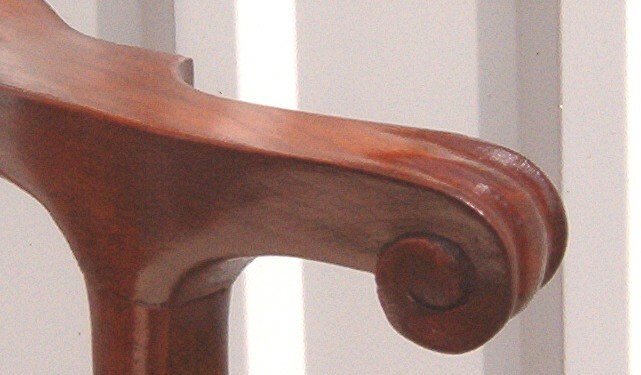 The knuckle arm of a cherry Chippendale chair. 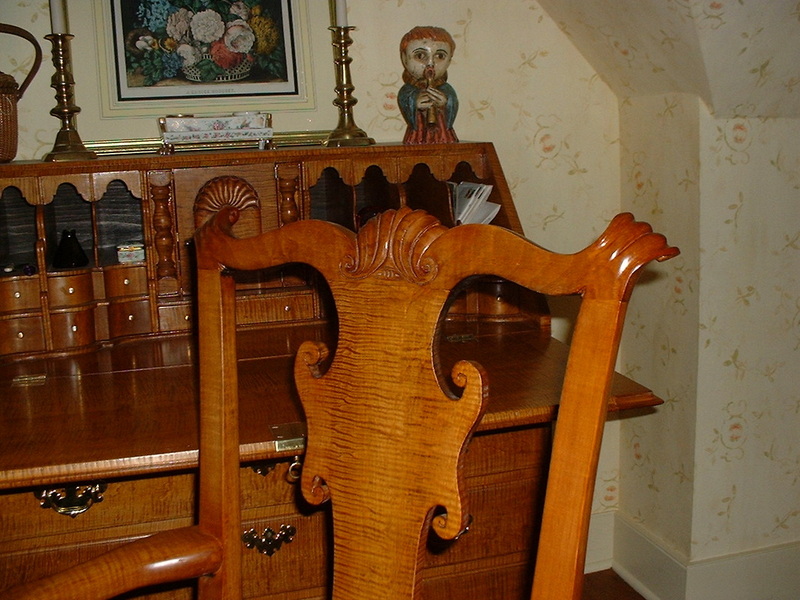 A tiger maple desk and chair made by Stephen H. Smith.